THE South Stratford Canal is now closed owing to two lock cills giving way. 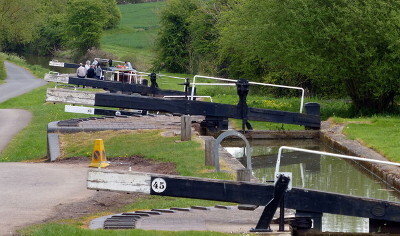 The cills on both locks 47 and 49 have broken off, with of course the navigation now closed, Keith Gudgin tells us. The locks are part of Wilmcote Flight into Stratford, (pictured) which means as mooring is not feasible in the short pounds, the entire flight will be closed off. There is no indication when the cills will be repaired, as this means draining part of the flight to enable access.